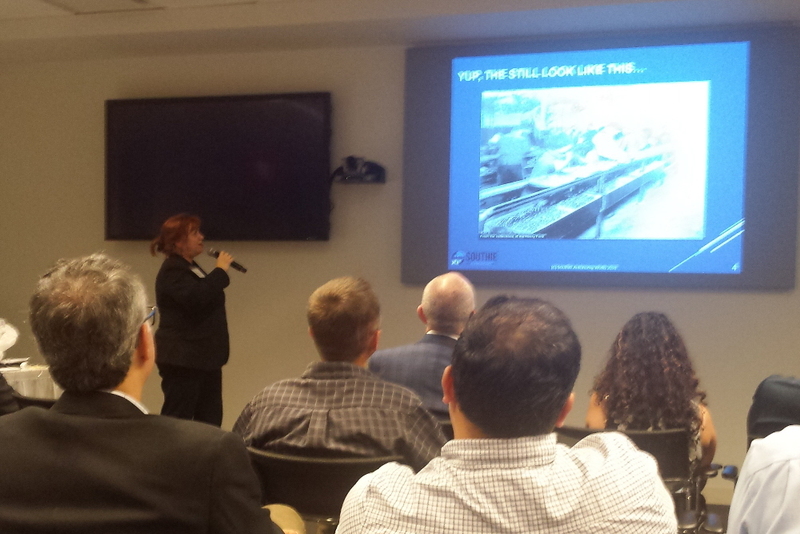 Mass Innovation Nights features startup companies from around Massachusetts. 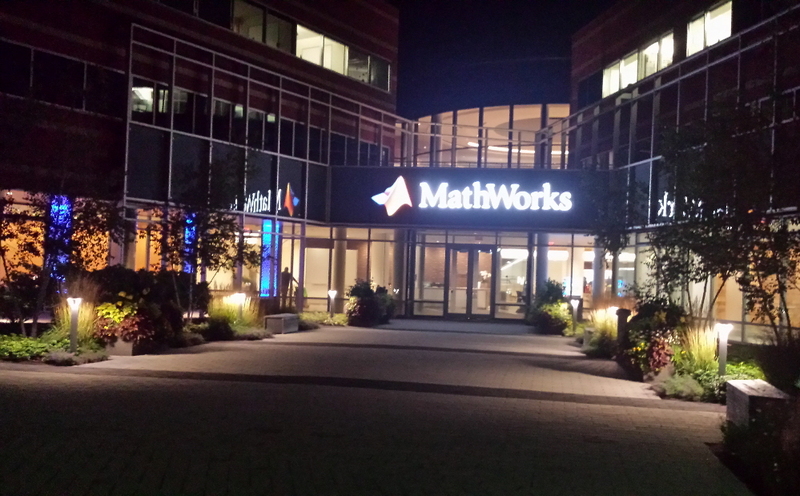 This month’s Mass Innovation Nights was hosted by MathWorks in Natick. The theme for the evening was AI, robotics, and clean tech. Mass Innovation Nights begins with an hour to network, grab food from the buffet, and visit with exhibiting startups at their display tables, providing attendees with an opportunity to converse with the companies in attendance while snacking on food provided by the event sponsor. Then the presentations begin, featuring the evening’s host, the “Expert Corner” experts, and the four exhibitors who win a pre-event vote on the Mass Innovation Nights website. Presenters as a result of the pre-event voting were The Robot Wand, Reason8, Kestrel Agritech, and Proximie. Awards are also given based on at-event voting (during the networking hour) by attendees. 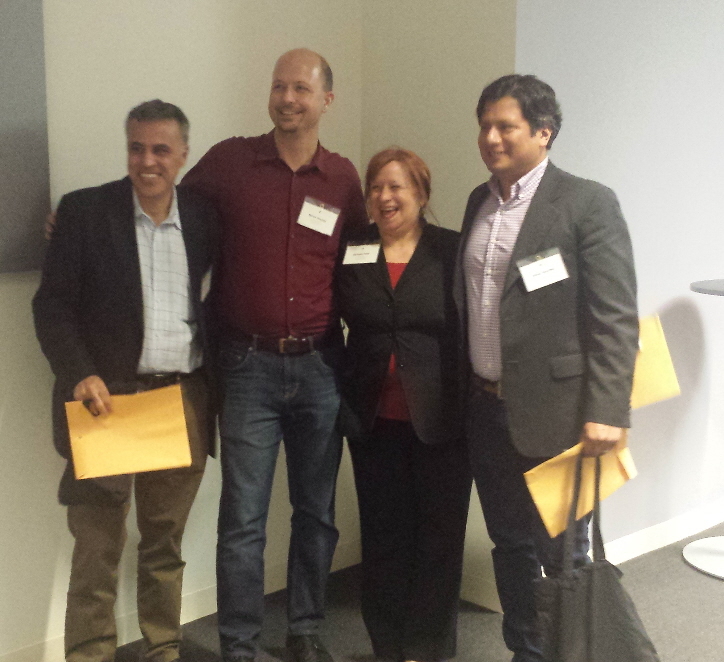 At-event winners were Proximie, WaveSense, Kestrel Agritech, and The Robot Wand. As usual, when I attend one of the startup showcase events, I’ll provide a quick overview of the featured companies based on information available through Mass Innovation Nights (website and handouts), the four presentations, and my conversations with some of the company representatives at the event. My observations will generally be very cursory. If you’re interested in additional detail about some of this month’s showcasing companies, you can follow the links I provide for more information. 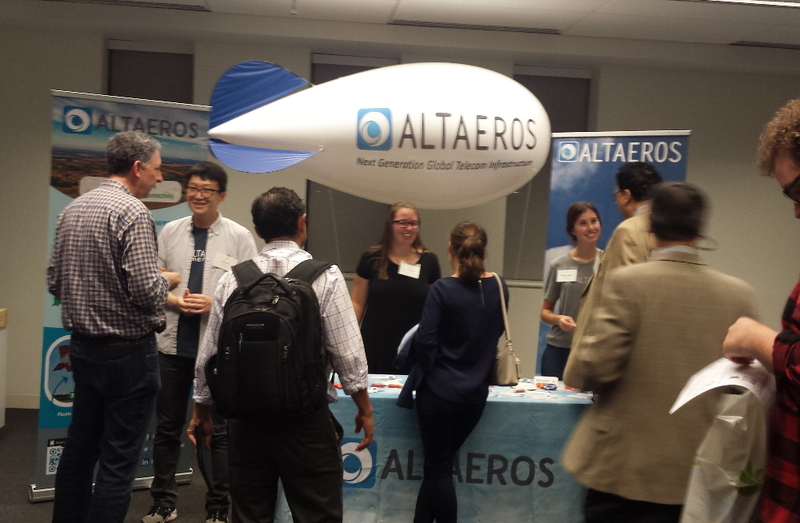 Altaeros helps provide remote wireless access to rural communities and other hard-to-reach locations via its SuperTower, which looks like a blimp. (See picture; demo table balloon, obviously, is not actual size.) Tethered and able to be raised and lowered – to top off the helium, for example – it serves as a wireless antenna covering an expansive area. WaveSense uses ground-penetrating radar to allow self-driving vehicles to more easily navigate roads in inclement conditions – where road markings may be obscured by snow, for example – because it allows the vehicles to know where the roads are based on the geological (and man-made) features beneath the road. BluCloud‘s “Gateway Blu” makes analytic data available anywhere anytime by transporting that analytic data cellularly. I first encountered BluCloud back in May at a Boston New Technology showcase. Because I had met them before, I didn’t spend time chatting with BluCloud at this event, but you can read my much more detailed account in this summary I wrote about the BNT event in May. If I had found time to chat with BluCloud, I would have asked how their customer penetration has progressed since then, since they already had a few customers and a lot of locations connected this spring. Reason8 is an app that takes meeting notes for you. In addition to transcribing the meeting, the app summarizes the meeting and provides a list of what it determines are likely action items; more advanced features continue to be in development. 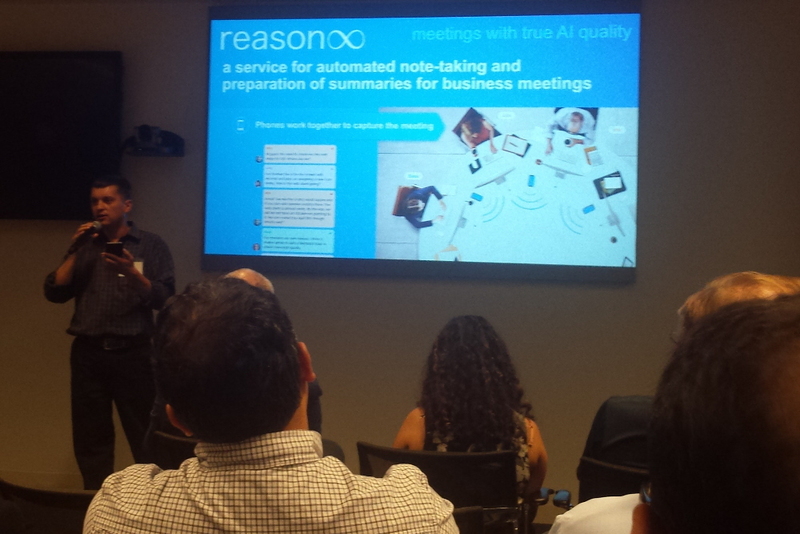 Reason8 is currently designed to target notetaking at in-person meetings. Quinncia is an AI-based interview preparation tool geared toward university students. 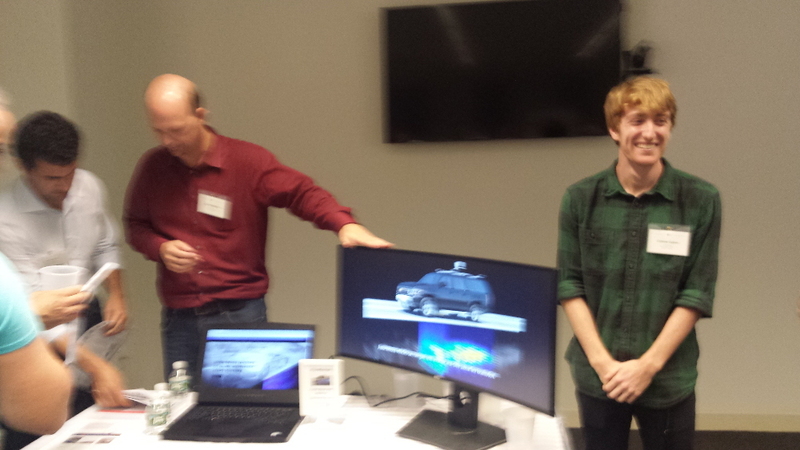 I previously learned about Quinncia at the Boston New Technology showcase in February. 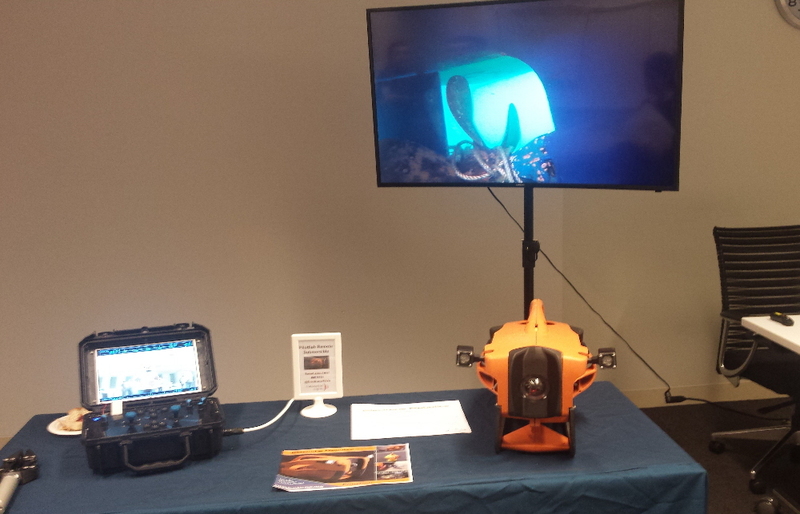 Electrona Robotics‘ Pilotfish remote submersible is a reasonably priced option for shooting HD video underwater, designed as an option for those who require remote underwater filming that in a relatively robust format at an affordable cost. 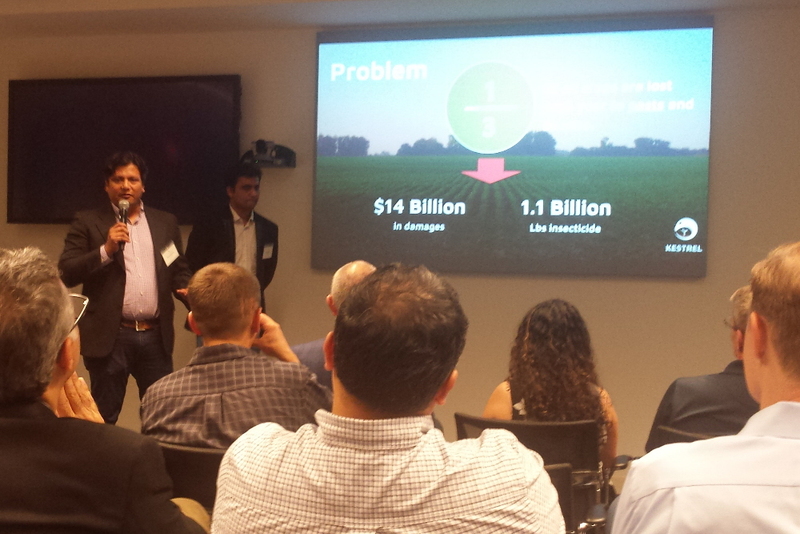 Kestrel Agritech is a drone-based crop monitoring and pest detection system that uses thermal imaging to help detect, analyze, and notify farmers of pests so farmers can take targeted, quick action. SkyMan Unlimited is a team of FAA-certified remote pilots who fly drones (“unmanned aerial vehicles”) for commercial and industrial clients. 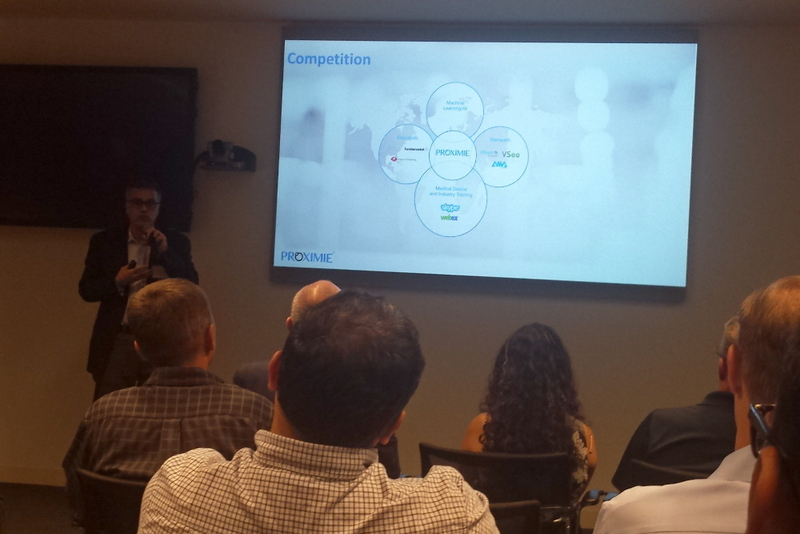 Proximie is a platform for the healthcare industry. It is designed to facilitate collaboration and remote assistance via augmented reality (AR). 3D Educational Services (3DES) is a low-cost robotics kit geared toward 7th and 8th grade. It is meant to help bring robotics into the classroom and help inspire students’ interest. As always, I’ve done my best to accurately portray the exhibiting companies and their products based upon the pre-event materials and the conversations I had with attendees. You can find company information also by following this link and then clicking on the “Vote Here” tab of the MIN 114 web page. I’ve also included hotlinks to the each of the exhibiting companies’ websites so you can get information beyond my brief introductions. 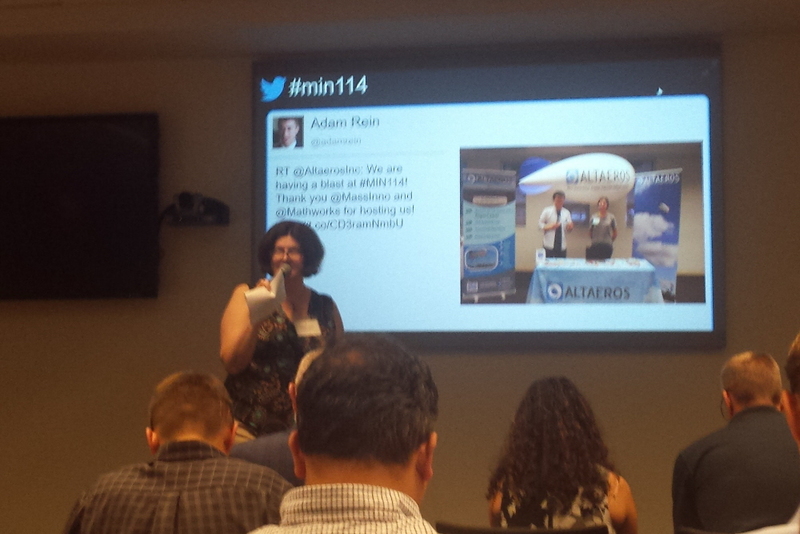 It was, as always, a pleasure to see some of the emerging companies on the Boston area’s startup scene. Next month’s Mass Innovation Night will be MIN’s 5th Annual Women Founders event. Sponsored by Boston Scientific (with supporting sponsor Brownmed), Mass Innovation Nights 115 will be held on Monday, October 15th at District Hall in Boston.